MU College of Veterinary Medicine alumnus George Fischer, DVM ’54, has a long history of supporting his alma mater. A resident of Amity, Missouri, he made his first gift to the college in 1964. In 2001, he established the Carl Frederick Fischer and George Franklin Fischer Veterinary Medicine Scholarship in honor of his father, a 1912 graduate of the Kansas City Veterinary College. The endowment has grown with Fischer making gifts to the fund each year, including a donation for this year’s Mizzou Giving Day. “All I’m trying to do is be kind to people,” he said. Fischer spent much of his own veterinary career in the military. He spent a total of 31 years in the service, 27 of them as a veterinarian. His scholarship is awarded annually to a third-or fourth-year CVM student who exhibits excellence in the area of food animal medicine. Fischer said the highlight of his year is attending the CVM’s annual Honors Banquet and spending time with students as they celebrate receiving scholarships. While the MU CVM strives to keep the cost of a veterinary education affordable, starting salaries for new DVMs have not kept pace with the average student debt load. In the United States, the mean debt for veterinary students who graduate with debt now totals $199,000. While the mean student debt of $190,000 for MU CVM graduates with debt is less than the national average, we need to find ways to lower that amount in order to continue to continue to attract topnotch students. Fortunately, through the generosity of alumni and friends, we are able to award more than $360,000 in scholarships each to recognize students’ scholastic achievement, clinical proficiency, community service and leadership. 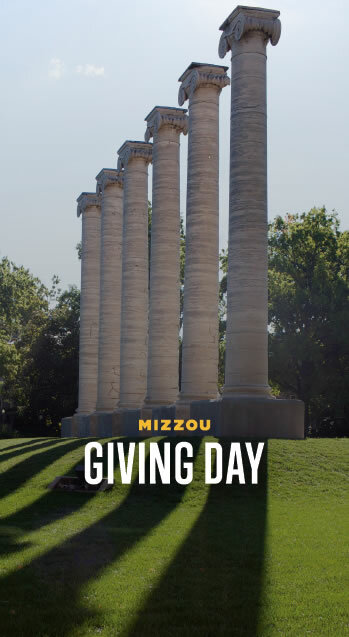 Please consider supporting the next generation of veterinarians with a gift to our scholarship fund on Mizzou Giving Day.